With distinctive reddish and white stripes, gracefully flowing fins, and menacing spines, few fish embody the beauty, mystery, and danger of the ocean quite like the lionfish. 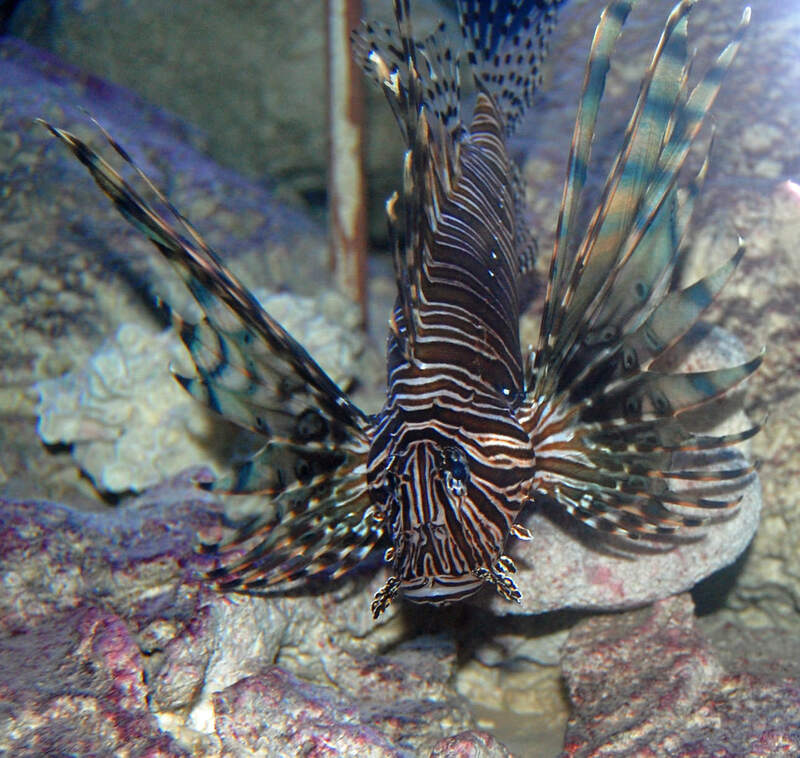 Although native to the Indo-Pacific region, lionfish were introduced to the Atlantic and are now found along the U.S. coast from North Carolina to Florida and in the Bahamas and Caribbean. 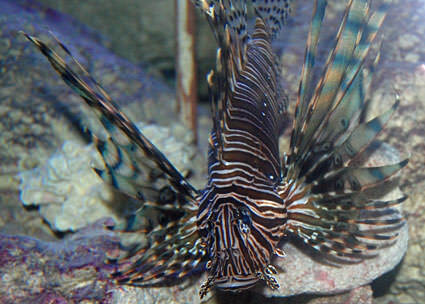 The lionfish's lack of predators, voracious appetite, rapid reproduction, and fast growth spell trouble for the balance of invaded ecosystems and fisheries, as lionfish can out-compete native species for food and space.